Our preconstruction team is skilled in integrating conceptual design with functional performance to maximize your return on investment. Our method of value engineering not only has proven benefits in cost and quality but also eliminates time wasted in the design process and errors in communication between multiple parties. We promote an effective collaborative process among general contractors, owners, engineers and subcontractors. 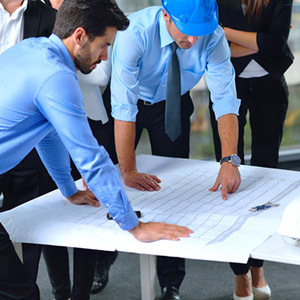 We have the ability to assist before and during the design development phase, as well as with the project budgeting in the conceptual stage. We can reduce construction schedule delays by coordinating codes and trades.